Church officials backed Government proposals to dig up bodies and rebury with others in the same plot to save space. 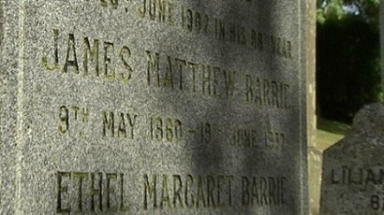 Bodies could be stacked on top of each other due to a shortage of graves under plans agreed by church officials. The plan was suggested among wider efforts by the Scottish Government to modernise rules on death certification, burial and cremation. The Church of Scotland supports the "lift and deepen" scheme which would allow old remains to be dug up, placed in a small container then re-buried at the maximum depth to allow future burials in the same plot. However, a Jewish group raised "serious concerns" about the plan while a Muslim group said it should be allowed "only if necessary". Scottish Government officials have not yet analysed opinion on the re-use of graves, focussing first on death certification. The suggestion that graves could be re-used was opposed by the Scottish Council of Jewish Communities, whose faith regards the human body as sacrosanct before and after death. A response from the Muslim Council of Scotland said burial is the only option, adding that the re-use of graves is acceptable "only if necessary". The Institute of Cemetery and Crematorium Management said re-use of old, abandoned lairs is the "only means" of ensuring the long-term security of cemeteries and burial grounds. She said the medical investigator model would improve public confidence and that changes to fees would be lower than that currently paid by two-thirds of families.